managed, with video retrieved as needed. 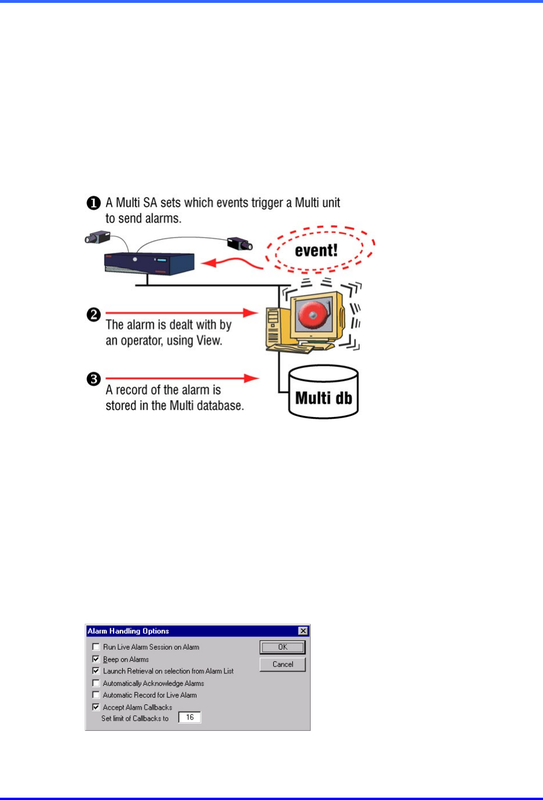 information is stored in the Multi central database after the alarm is acknowledged. Options for customizing alarms can be changed as needed. 2. Select options as needed. Click OK. See figure 57.